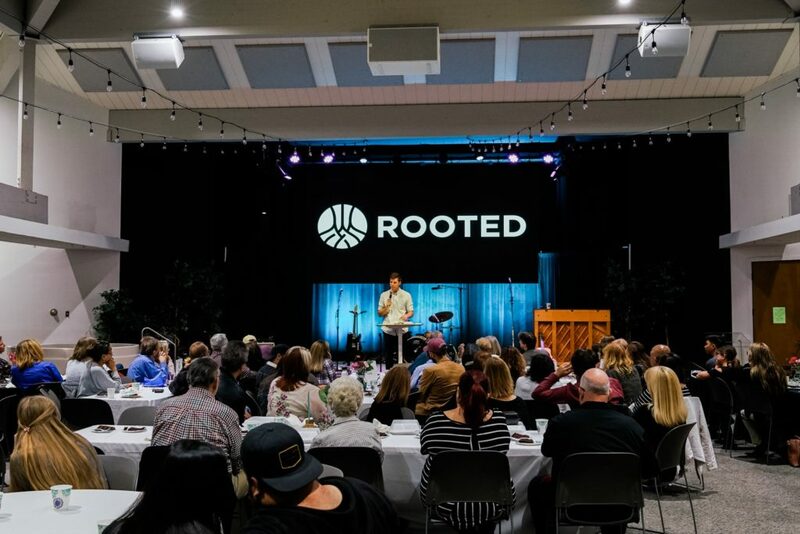 Rooted just changed the lives of 80 people, and on Friday, March 22, we gathered to celebrate! 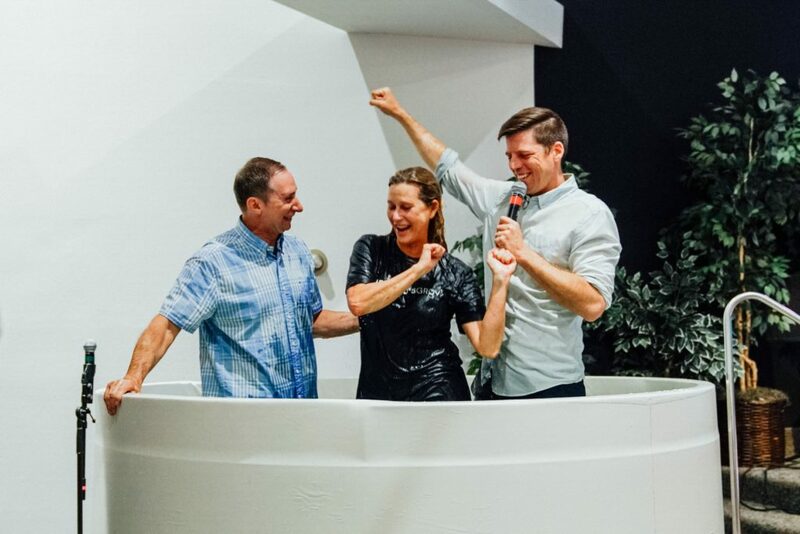 After 10 weeks of study, reflection, serving and growing closer to God and to each other, we came together in the Fellowship Hall (with our significant others) to enjoy great food, wonderful worship, and a special message from Pastor Bobby; this was followed by a touching baptism ceremony. The evening’s program began with several participants sharing their before and after stories as written on large pieces of cardboard that they carried across the front of the stage. It was impactful to read of the many ways God worked through the Rooted experience to teach others about Himself. 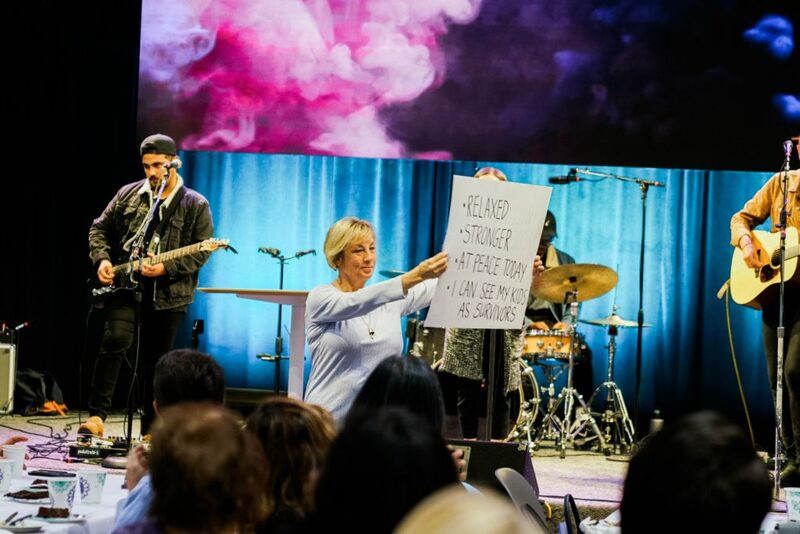 After the testimonies, we welcomed the Holy Spirit’s presence in a time of worship led by Tully and the band, and then Pastor Bobby took the stage and taught us some important things about the Holy Spirit and how He works in our lives. 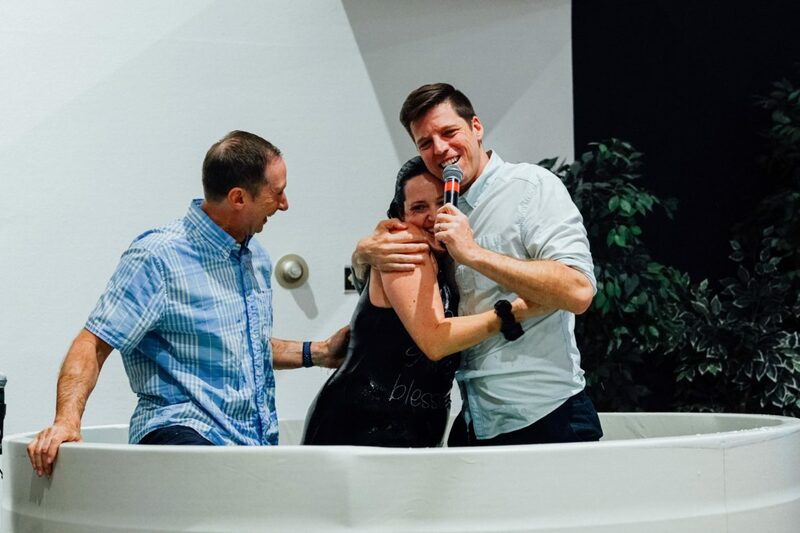 The celebration concluded with a baptism ceremony, and seven people who had not yet made a public profession of their new life in Christ had the opportunity to do so while we, their church family, watched and cheered! 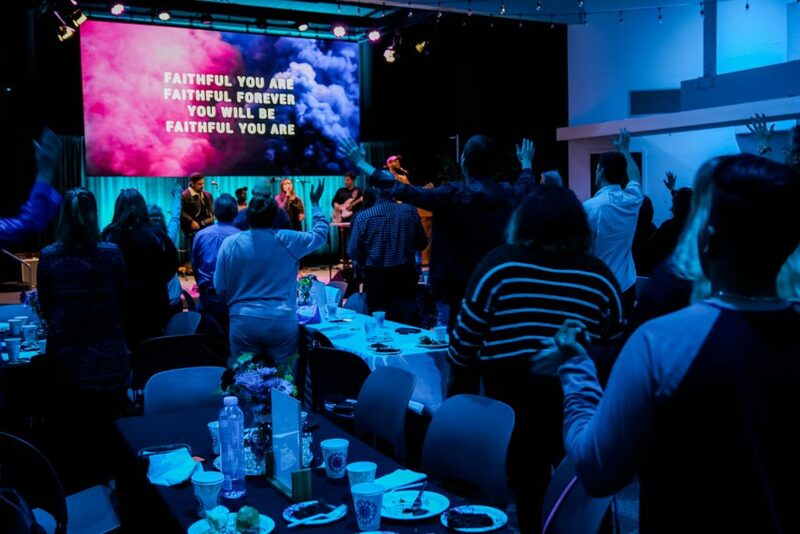 Regardless of the exact manner, everyone is in agreement that Rooted changed the course of their life and deepened their walk with God; therefore, coming together to worship Him was a natural conclusion to this transformational experience! Is your curiosity piqued yet? If so, sign-ups are happening now after service on the courtyard and new Rooted groups begin on April 10. I believe that if you give the Lord 10 Wednesday nights of your life, He will do something great in and through you! Questions? Email me at Bruce.Cramer@shepherdsgrove.org.